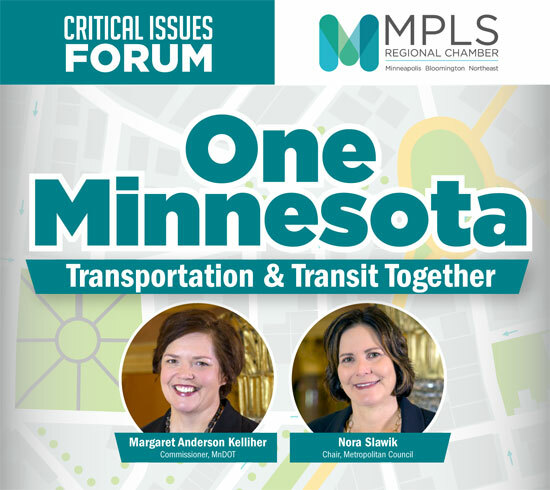 Just three days after Governor Walz is planning to release his first budget proposal, we are honored to host a conversation with MnDOT Commissioner Margaret Anderson Kelliher and Met Council Chair Nora Slawik. Minnesota’s transportation network provides the critical connections that enables our state to succeed. This is a critical year for moving forward to improve our roads and transit – and the Chamber is advocating for a comprehensive transportation system that will serve us for many decades. Register today!